Looking for answers? Most questions can be answered right here. If you do not see the answer to your question contact us today and we would be glad to answer it for you! This depends on you! What’s so amazing about our company is that, once you begin in the entry level marketing and sales position, you have control over your own advancement. It can take anywhere from 4-6 months to earn a position as a managing partner. This means that you are able to achieve promotions and increased income in a fraction of the time it would take you at companies where growth is limited by corporate budgets and the bureaucracy of seniority. Is Metroplex Management Group a growing company? Absolutely! We are rapidly expanding into other cities across the US. 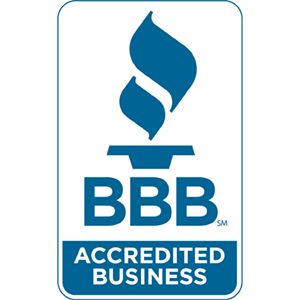 With integrity and professionalism Metroplex Management Group maintains existing customers’ accounts and acquires new customers for their major client. Is it true that I have to do face to face sales at the entry level and account management positions? Yes, inside our retailers and here’s why: Sales is the basis of all business, and in order to truly understand business, you have to develop a deep understanding of sales. By training our people in face to face, direct sales and marketing, we prepare them to become major players in today’s competitive business environment. 100% of our managing partners began at the entry level in sales and marketing, positioning them to understand and empathize with the day to day challenges of their associates and developing them to be effective managers. What does Metroplex Management Group do? We are a marketing company that performs outsourced sales and advertising on behalf of our Fortune 500 clients. Instead of our clients using their own internal sales force; they hire us to do it for them. They provide promotions and services that we are responsible for presenting to the Austin area. We are looking for ambitious, charismatic individuals capable of excelling in a business, leadership, and management position. Experience is helpful, but complete training is provided. If you have a willingness to learn and a need to succeed, then you could be the right candidate. Yes. Our management team has a full training program setup for Entry Level Account Managers. Information covered in training includes: service and product knowledge, sales and marketing techniques, public speaking, leadership and management. Why is our form of marketing effective? The pay is different for each position. Starting off entry-level everyone receives an hourly base and has the ability to earn commissions. Your starting pay is contingent upon your background and experience, thus determined by our hiring mangers during the interview process.